Log Cabin Republicans | New York Magazine: Should Chris Christie Sign the Ban on Gay Conversion Therapy? 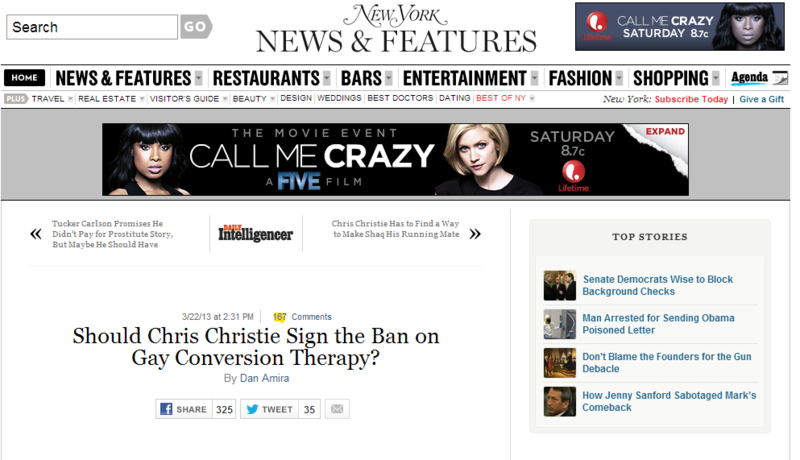 New York Magazine: Should Chris Christie Sign the Ban on Gay Conversion Therapy? Log Cabin Republicans Executive Director Gregory T. Angelo is quoted by the New York Magazine regarding Governor Chris Christie and a bill banning gay conversion therapy in New Jersey. You can read the full article here.